Beads have been fascinating and inspiring people for thousands of years and now you too can try making jewelry, creating accessories, and decorating clothes with beads of all kinds. 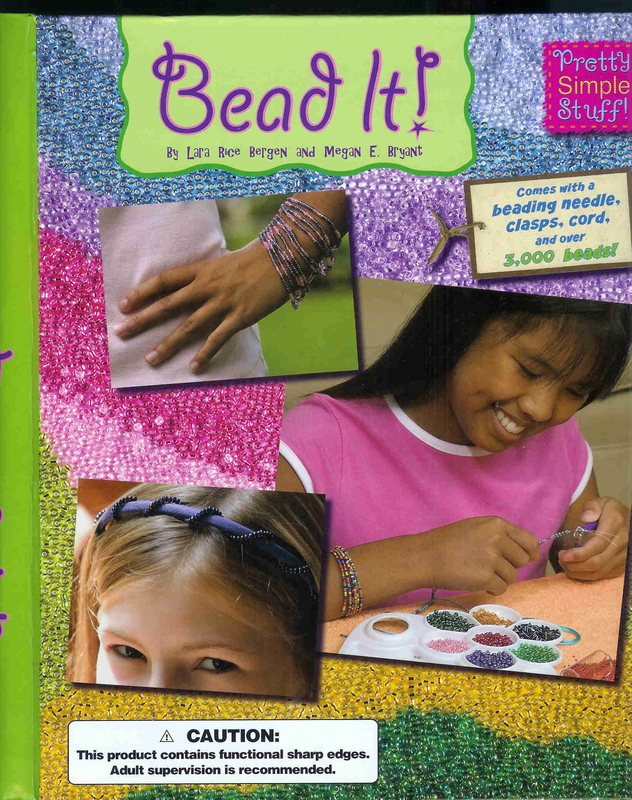 The authors of this easy-to-follow book begin by giving their readers an overview of the tools that are needed for beading projects, the different kinds of beads there are, and the basic techniques that are used to make the projects in the book. Readers will discover many beading projects rely on the use of clever knots and threading. After reading through this introduction readers can begin to make some things with their new found skills. The projects begin with an easy necklace. The authors give the beader plenty of information including how much cord they will need. They also offer up tips on how best to string the beads so that they look neat and don?t buckle on the cord. Each new project helps the beader learn a new skill and gives the beader the chance to try new things. As this book includes an envelope containing a beading needle, clasps, cord, and over 3,000 beads, the beader doesn?t have to go to a craft shop before he or she can begin making beautiful pieces if bead art. Plenty of photographs and illustrations help the reader see how best to create the projects described and what the end result of their labors will look like.